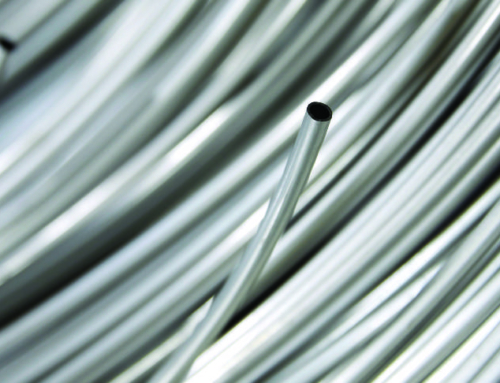 Specialty seamless stainless steel tubing is used in many applications, including the flow of gas, steam and liquid in harsh environments. 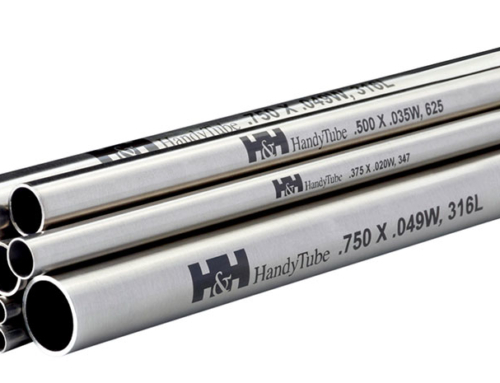 Some manufacturers specializing in this field produce seamless, stainless steel tubing ranging from one inch in diameter to finer than a human hair, and in continuous lengths that can exceed a mile. 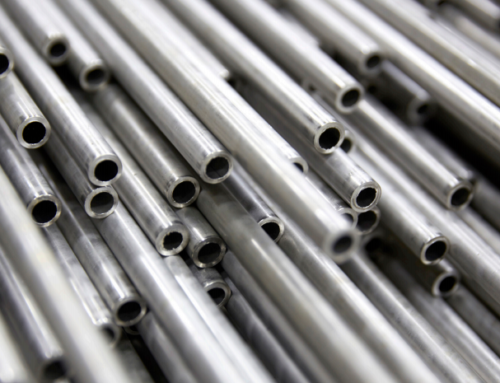 Typical methods for manufacturing seamless stainless steel tubing are by extruding, gun drilling or piercing. However, the extrusion process provides the most uniform OD (outside diameter) and ultimately the most concentric ID (inside diameter). 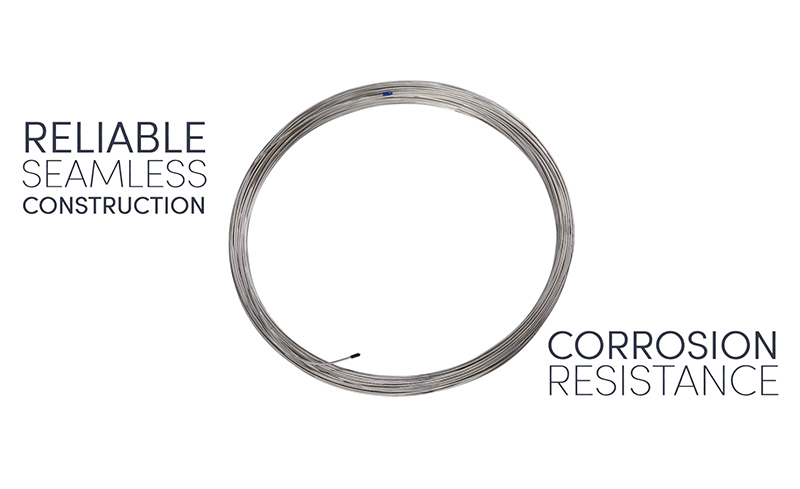 In addition, extrusion is the only process most suitable for long length seamless stainless steel coil tubing. The raw material begins in the form of hot extruded seamless pipe. The material is then cold reduced. 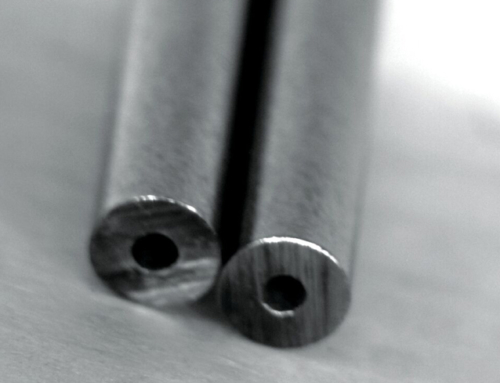 At this point the raw material is processed through tube reducers known as pilger mills in a long straight form. Cold pilgering is able to maintain uniform ODs and concentric IDs because it is a longitudinal cold-rolling process which reduces the diameter and wall thickness of steel tube in one operation. For specific material types this process achieves cross-section reductions of more than 90 percent in a single working cycle. Lubricants are used on the OD and ID when reducing the tube, which is then degreased in preparation for annealing. This process typically produces lengths from around 40 feet to 160 feet in length after reduction. 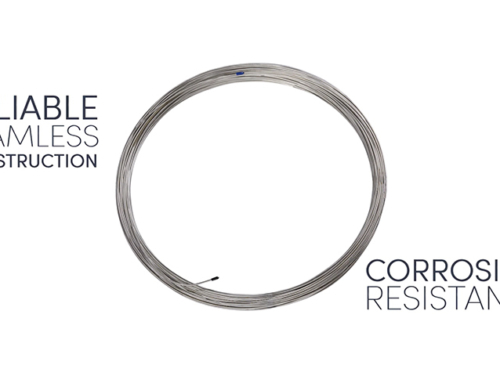 Cold reducing is the most effective method when manufacturing long lengths of seamless tubing that are to be processed in coil form. 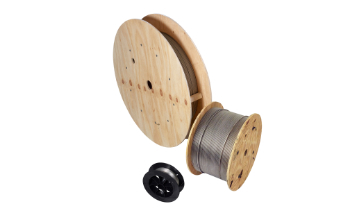 Straight lengths of tube are cold drawn in coil form on specially designed equipment. 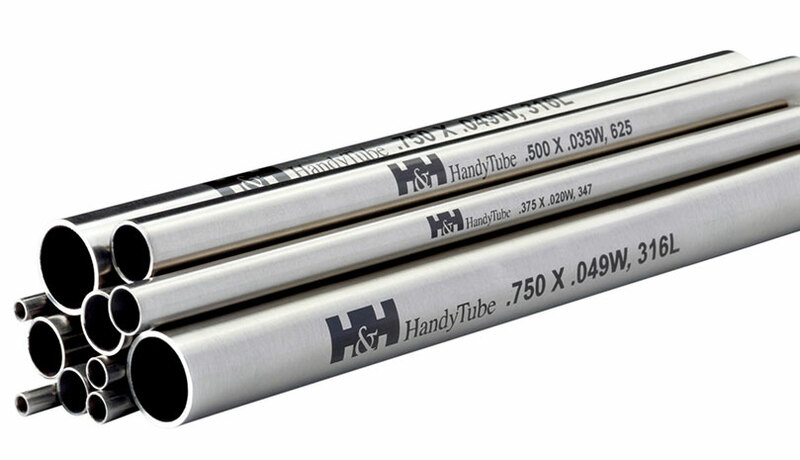 As cold drawing reduces the OD, ID and wall thickness, the tube increases in length as the product is drawn. There are two main drawing operations used. Floating plug drawing is the process in which the tubing is pulled through a conical die and a floating plug is inserted in the ID. The resulting ID and wall thickness is a based on the die and plug size. Floating plugdrawing produces a more consistent, smoother product, but can only be used on relatively light wall products. Sink drawing is the process in which the tubing is pulled through a conical die and the resulting ID and wall thickness is determined based on the drawing and tubing parameters. Sink drawing is used when heavy relative wall thickness are required for high-pressure applications. The ID is typically a bit rougher when compared to floating plug drawing. As mentioned above, the coils of tube have lubricants on the OD and ID to aid in the drawing processes. For most end-use applications (liquid transport, medical, etc.) the lubricant is removed (degreased) from the tube. This is accomplished in one step in a large solvent degreasing vessel. 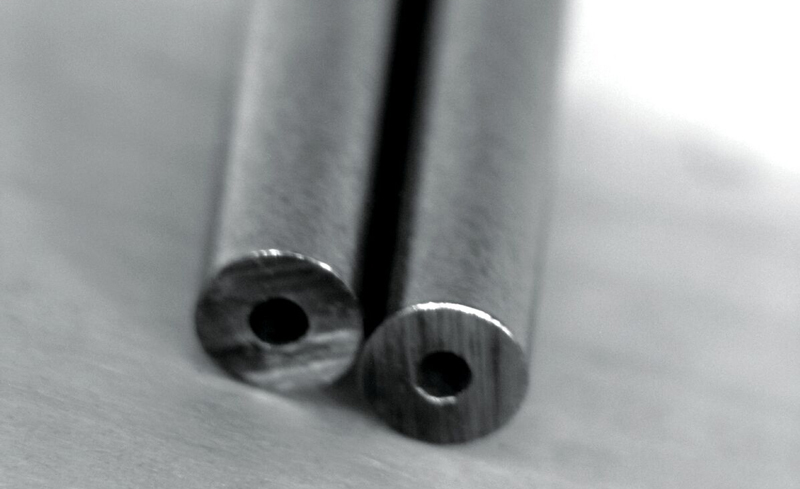 Long straight lengths and coils are annealed after cold reducing in order to remove internal stresses and restore crystalline structure of the material to allow for further cold working. The rapid cooling of the annealing process converts the cold-worked, brittle and hard material into soft and ductile material again. These steps are repeated until the desired dimensions (OD, ID and wall thickness) are achieved. 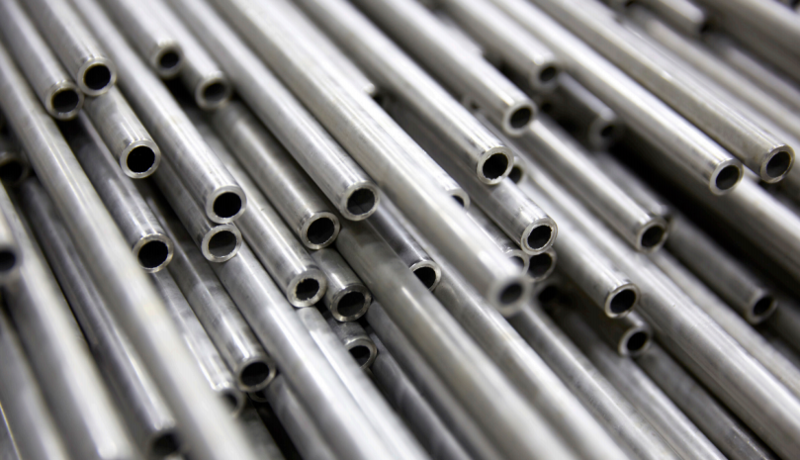 Tubing of this type should be manufactured to applicable ASTM standards and fully tested for potential defects before being prepared for shipment to the customer. 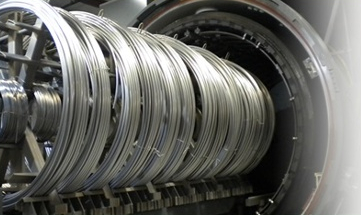 Stainless steel coil tubing can be level wound on spools for shipment or straightened and cut to specific lengths designated by the customer. Products can be polished and stenciled with pertinent information for lot traceability and manufacturing identification.